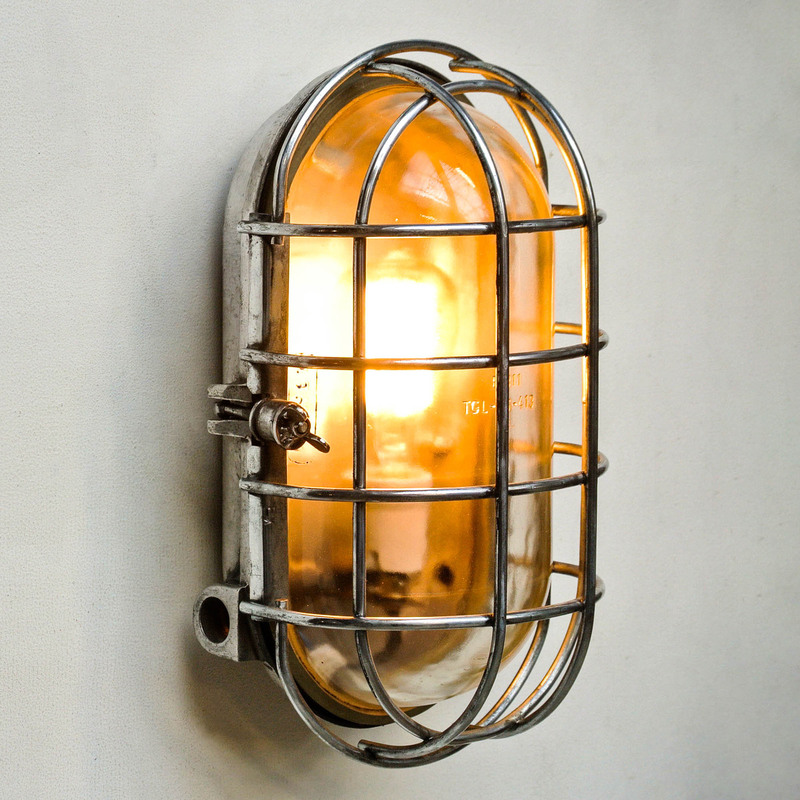 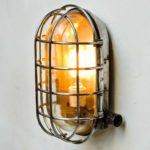 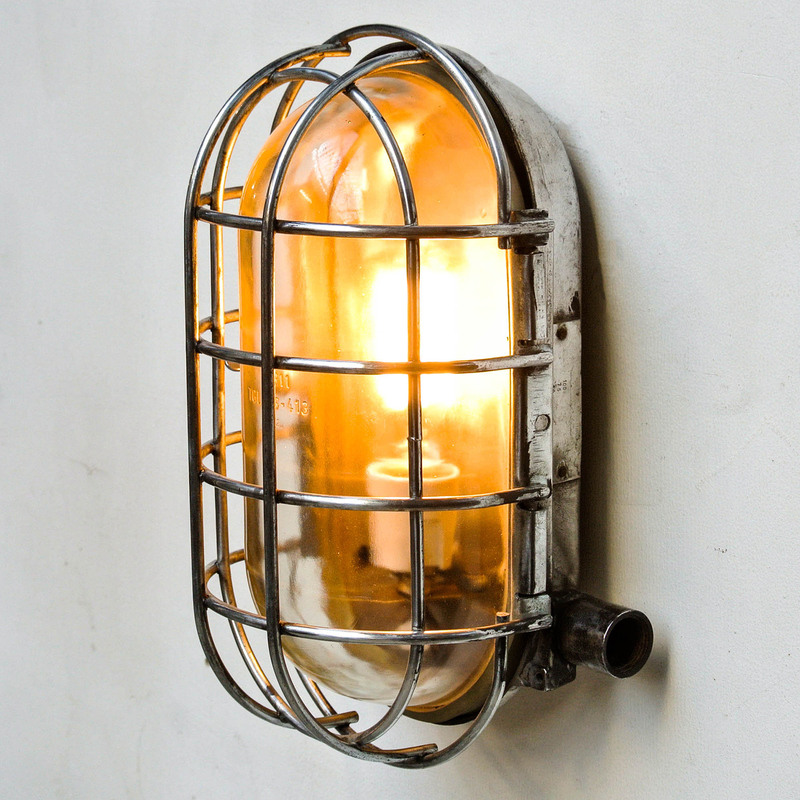 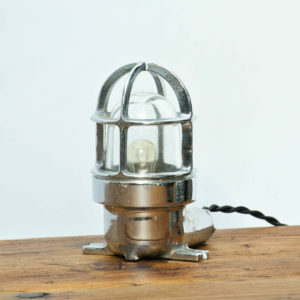 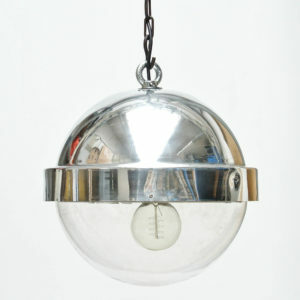 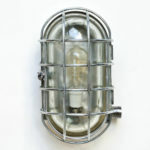 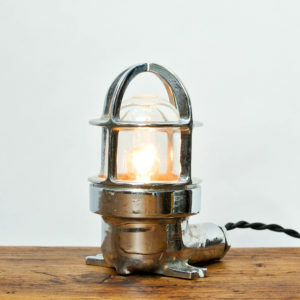 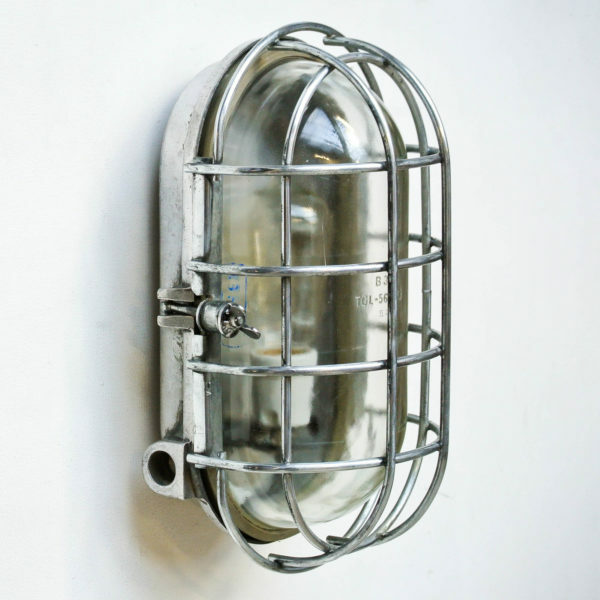 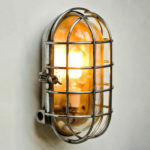 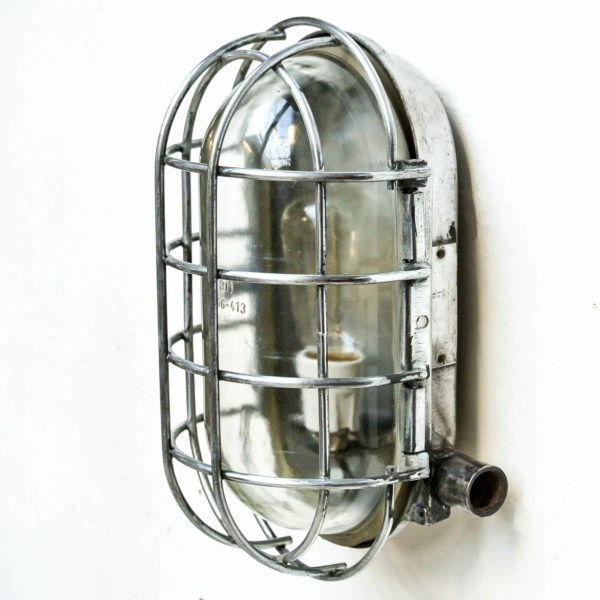 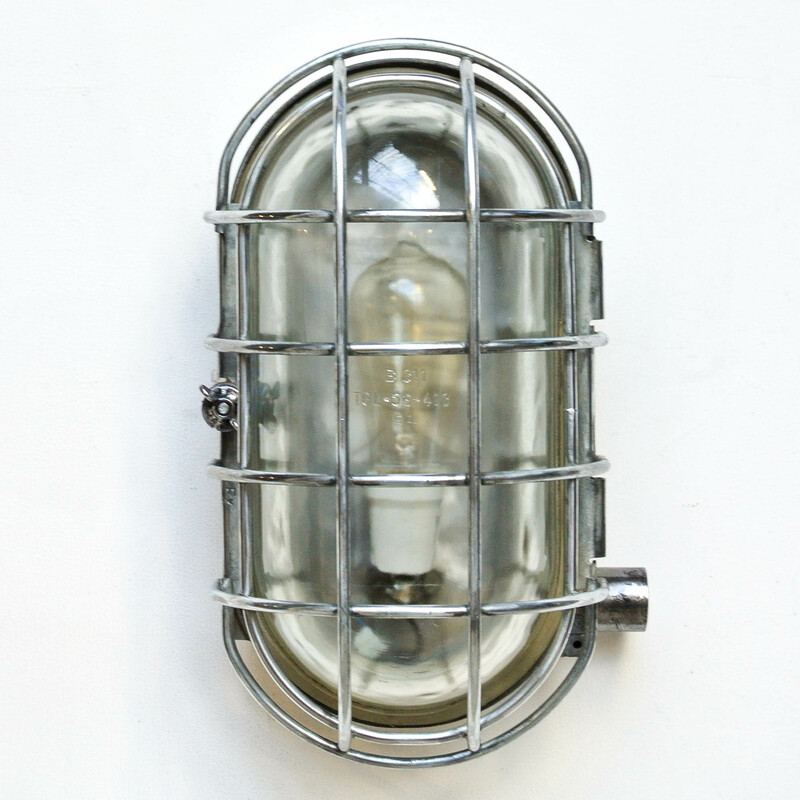 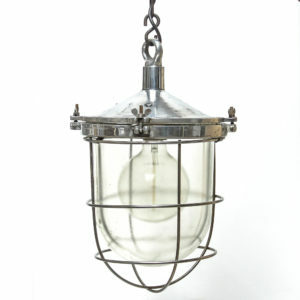 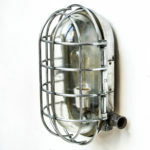 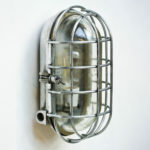 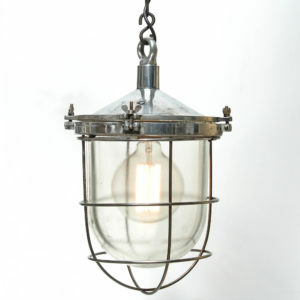 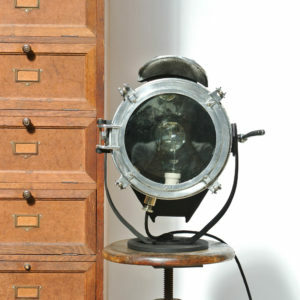 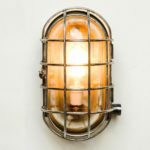 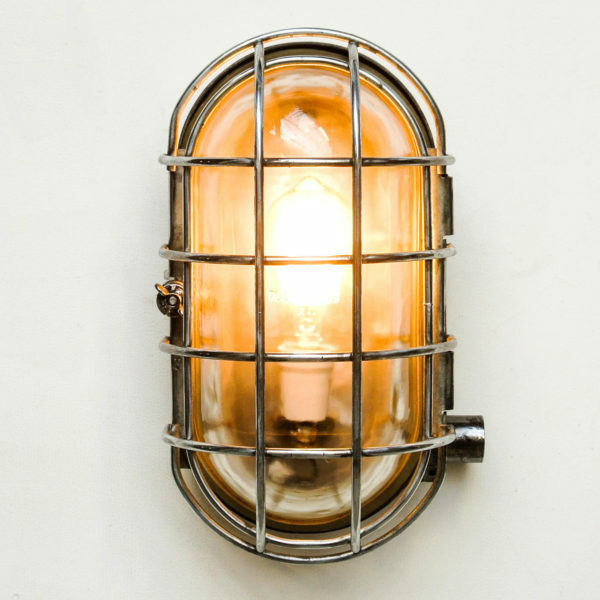 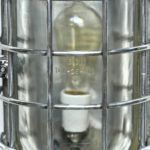 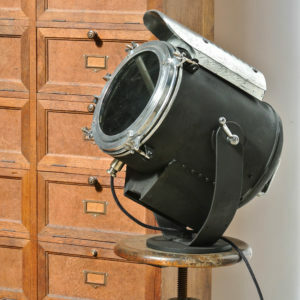 Old industrial wall light made in Germany (G.D.R), in cast aluminium (stripped and polished), thick glass protected by a fence made of steel (brushed, polished and varnished). 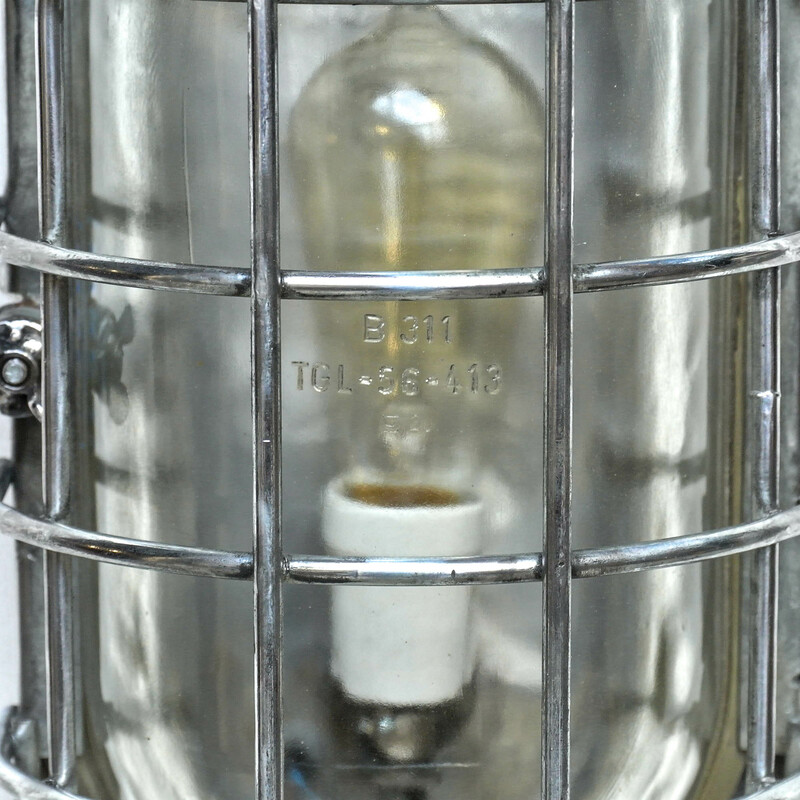 Fully re wired (E26 screw type). 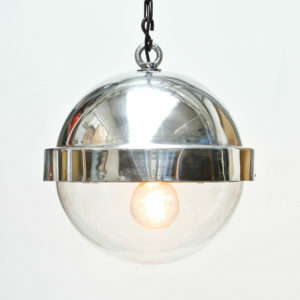 Very nice proportions, you can put it vertically or horizontally !